In case it’s not evident by my other Christmas-related posts, I loooove this time of year. I really do. I look forward to Christmas more than any other time. Christmas brings up so many warm and fuzzy connotations for me. If you’ve been following me for a while, you’ll know I hate the consumerism of Christmas. The stress. The hustle and bustle. The debt. The family fights. It saddens me that Christmas has been overtaken by all those things, and that there is nothing but a sea of Santas and Rudolphs to tell the Christmas story. What I most want to pass on to my tots is the story of Jesus. I also hope to instil in them the joy of giving, making things instead of buying when possible, caring for those less fortunate, and the importance of family. But how to do it? Enter our second advent calendar. Sausage and Chip LOVED their advent calendars last year. It was the highlight of their day. I liked the idea of making an interactive calendar – one that has an activity each day. If an activity a day seems overwhelming, fret not. Advent should not be a time of busyness or stress. The trick is to fill the calendar with things that you would do anyway. In fact, spreading all those things out over 24 days is actually less daunting than a flurry of activity the week of Christmas! but I’m going to hang our one on our mantelpiece (the joys of Christmas in summer) this year. So that’s it. Nothing complicated or earth-shattering. I’m going to let the kids decide what gifts to make – within reasons, and with plenty of suggestions. Both will be given a small amount of money to buy the other one a gift, and to buy a gift for a child who is less fortunate. I figure it’s a good lesson for them to go into a toy shop thinking about what someone else would like. I’m pretty sure Sausage will insist that her brother really wants high-heel dress up shoes, and Chip will think his sister is dying to have a toy combine harvester, but hey, we must start somewhere. What are you up to this Christmas season? Chime in below. Is it really a year since my last Advent post? Wowzers, this year has whizzed by for me. I have to share this pic again, it cracks me up. Candles are sooo exciting! 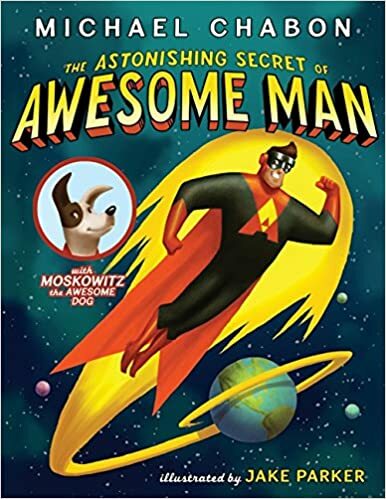 I’m ridiculously excited to celebrate Christmas with my children this year as at almost 2 and a half, Chip will be old enough to understand what’s going on. Like last year as we journey towards Christmas, we will read Christmas stories and talk lots about Baby Jesus, Mama Mary and Papa Joseph. We’ll light our advent candles during dinner. We’ll sing Christmas carols and dance like lunatics to ‘Jingle Bell Rock’. We’ll be in our church Christmas pageant. We’ll do some Christmas crafts and decorate the tree. Advent calendar one is a reverse advent calendar. You might have seen this idea doing the rounds on social media. I think it is absolutely brilliant. 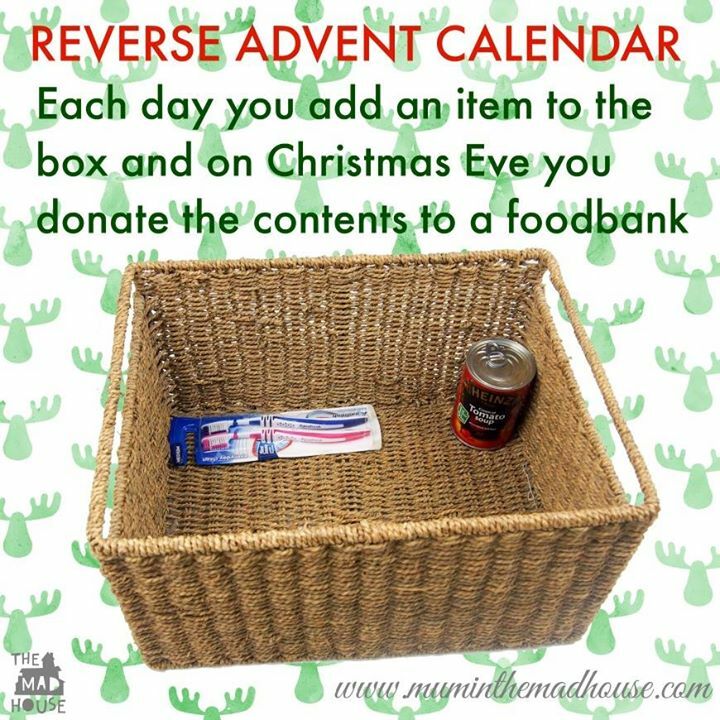 The idea of a reverse advent calendar is to put one grocery item into a basket that then gets donated to a food bank, or a family in need. I am all over this idea as I want my children to associate Christmas with giving. But let me just say that this calendar is also for me. Last year I carefully stockpiled a whole day’s worth of meals and treats for a family that I knew really, really needed it – a grandma looking after 11 kids, bless her. The look on her face was the best present I got. So the reverse advent calendar is something I’m keen to get behind. Nothing you wouldn’t eat yourself. If you haven’t eaten that jar of quince paste or pack of kale chips lurking at the back of the shelf, they probably won’t want to either. Tinned tuna, salmon or chicken, and beef jerky are always greatly appreciated for a important protein boost. Buy items that go together e.g. pasta and pasta sauce. Nothing is sadder than chowing down on plain pasta because the rest of the cupboard is bare. I started gathering items to donate in November, but you could start even earlier so you’re not faced with a bill for 24 cans of baked beans all at once. Do you like the reverse advent calendar idea? How do you give to others at Christmas? I know Christmas is still a wee while away but toys, and the way they seem to take over your house when you have kids is a subject dear to my heart. I am not anti-toy. There are many wonderful toys out there which become cherished possessions. I myself still have my Belle doll (Snoopy’s sister, who had a dazzling array of outfits, complete with a hole for her tail) that my Mum saved for me. Heck, I still love Belle. What I hate is how many toys kids have today. It’s crazy. I am constantly fighting the flow of toys in my own house. In fact, I swear they breed, because one day Sausage held up a toy that I’d never seen before in my life. Despite being selective as to what toys my children have, I still find myself culling them every few months and donating full-sized bags to charity. I think it’s really hard for the older generation in particular to understand that children today are drowning in stuff. People my parents age were lucky if they had a train set and a doll. Childhood is very different now. Toys are readily available, often cheap (and nasty, so they break within seconds), and it’s just the done thing to give them as gifts for Christmas and birthdays. Today many children have so many toys that their parents have to devise cunning rotation systems, so the toys aren’t all out at once. More and more children have entire rooms dedicated to their toys. The ‘rise of the playroom’ is an interesting phenomenon I’ve noticed of late (When I was little, I knew one other kid who had a ‘rumpus room’ and boy was I jealous of them!). This Christmas give gifts that last, that children really need, and that get them out and about exploring the world.